Some habits affect brain wellness more than others. Find out which habits increase the effectiveness of neurofeedback training. 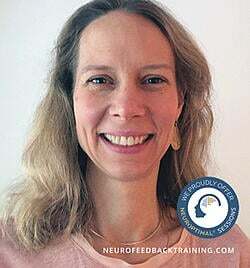 Discover tips for optimizing neurofeedback therapy results, including how your attitude and self talk can enhance or inhibit success, the best breathing practices and why these things matter when brain training. A frequently asked question about beginning neurofeedback therapy is, "How many neurofeedback sessions will I need for the best results?" Every brain is different, so I first educate my client on how these differences can affect training. Then, I discuss the client's goals; as every person has different goals, there isn't one number of sessions that fits all. There are, however, some key dos and don'ts that can have a significant impact on how quickly clients notice changes. Below are our tips for how to get the best results from NeurOptimal® neurofeedback. Regardless of your reason for starting brain training, whether it is to help you manage your sleep, for emotional support, or for mental fitness (such as ability to focus and concentrate), these tips will help you maximize your success in the program. - "I'm tired of identifying as a down person." - "I'm done with worrying all the time." - "I'm ready to relax and be less charged all the time." - "But worry is my mo-jo and its what makes me get things done." - "The world is a dangerous place and I do have to be on guard." - "My life is a problem." - "If I don't think about my problems all the time, they won't get done!" 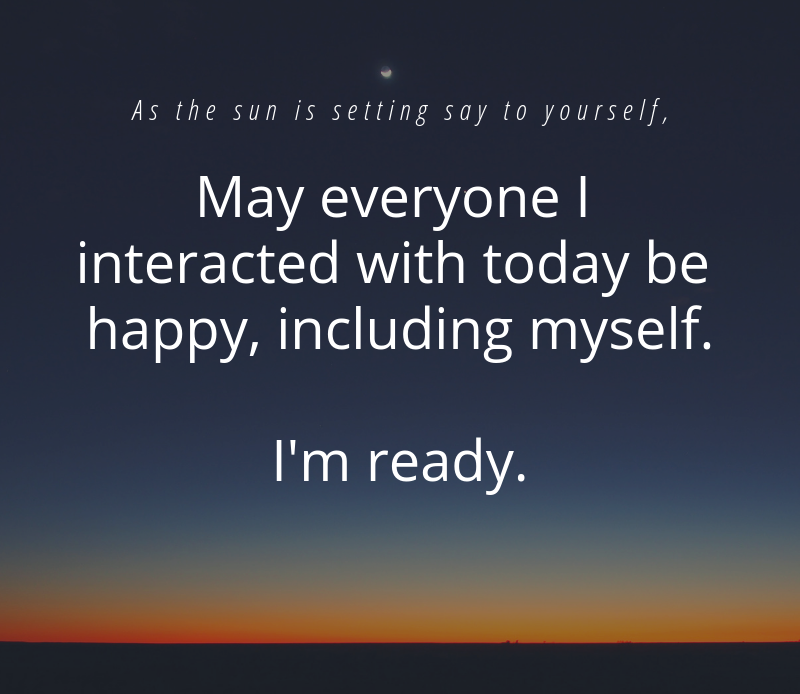 When you are beginning your series of neurofeedback home sessions or in-office, it is very helpful to tell yourself regularly, that you are ready to be a calm, grounded, person with mental clarity. Even if at first you don't believe it, this positive self-talk will prepare you for success. Why does self-talk have such a big impact on our brain training? The mind and the brain work together and affect one another. Think of something you find scary. Spiders? Heights? Public speaking? You should notice that your body is reacting to that thought. Your muscles in your stomach may tense, or you may be holding your breath. These physiological reactions are called a stress responses. Stress responses prepare us to fight or run away when we perceive a threat. They are a healthy part of our body's defense system, but when we activate them too much, we suffer in mind and body. This is why negative self-talk impacts our progress. If you want to increase your mental and emotional fitness, you need to focus on positive self-talk. How you talk to yourself during the weeks or months of your training will help or hinder your progress. Since you have already made the commitment to better your mental and emotional health via neurofeedback training, you want to get the most out of it! The right attitude is the first step to success. If you are ready to give up mental and emotional ruts and reset yourself, start adding positive self-talk to your daily routine. This will help generate positive shifts from neurofeedback sessions. Keep in mind, that it is not necessary to say anything to yourself during the actual brain training session. 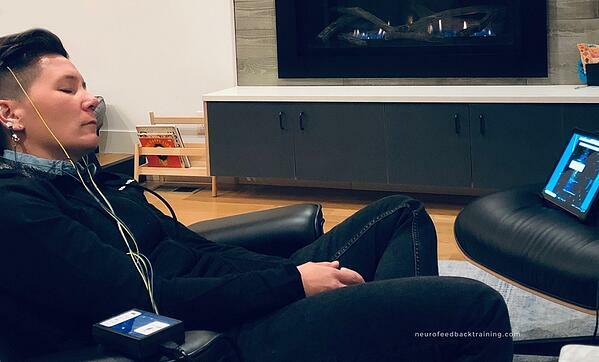 While positive self-talk is a powerful support tool, you don't need to consciously focus on anything during a NeurOptimal® neurofeedback session--the training is primarily communication between the Dynamical neurofeedback software and your automatic brain. By sampling your brainwaves 256 times per second, the software communicates with you in response to the moment-by-moment changes in your brain's electrical activity. The feedback happens through precisely timed interruptions in music, and your subconscious brain does all the work--it will automatically pay attention during the precise millisecond it is changing its electrical patterns. Rather than focusing on your thoughts during the NeurOptimal® session, focus on your breathing. If your mind wanders into thoughts, bring your attention back to breathing a little slower and deeper during the session. 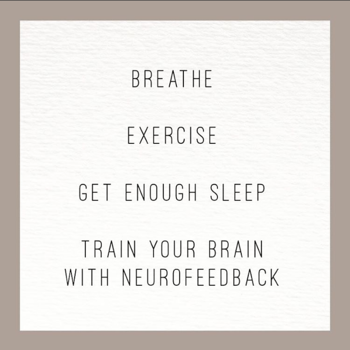 You may think this simple directive doesn't make much of an impact, but over the last eight years I have seen that neurofeedback clients who practice breathing consciously, or practice mindfulness of breath, report better results. Why is breath so important? Just stop and notice your breath right now. If you are generally in go-mode, you'll probably notice that your breath is up at the top of your chest and more rapid. Shallow breathing is a sign of a revved-up brain and when we consciously shift to slow and deep breaths, we are indirectly telling the brain to shift out of stress response and into relaxation response. 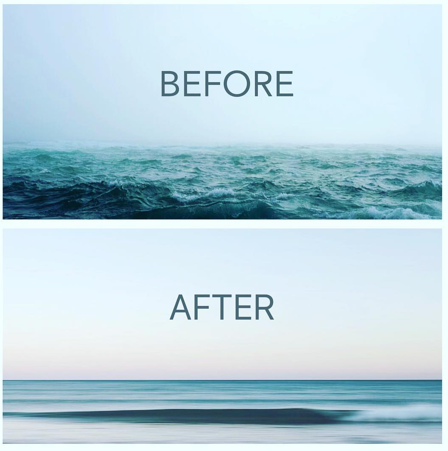 Stopping a few times a day and connecting with your breath, even if it is just for 3 minutes, helps your brain re-regulate, and boosts the neurofeedback training. Here is a list of good mindfulness apps for guidance. Practice thought replacement: Replace Worrying Thoughts with Accurate Thoughts, and Grateful Ones! Another helpful outcome of mindful breathing is that it takes our attention away from our habit of being lost in thought and brings us into our immediate experience. The action of moving our attention away from our worried or problem-centered thoughts cuts the unhealthy feedback loop. When in an unhealthy pattern, individuals don't realize that they are habitually engaging in a negative form of brain training. Remember, what we think has a large impact on our bodies. Negative thinking sets the fight/flight response in motion. Fixating on worrying keeps our bodies in a heightened state. We can interrupt that pattern by consciously focusing on generating accurate thoughts. Here are pointers on starting to consciously direct our thoughts. Take the mind out of future thoughts into present moment thinking. Ask yourself: what is happing in this very moment? Don't worry if it sounds "obvious" or "stupid." Spending just one minute focused on describing the present can re-orient away from worried patterns. Try saying something like, "In this moment I am reading an email on my computer. I can hear my colleague talking on the phone in the next room. I am breathing shallowly. I am slightly hungry. I am planning the evenings' events now. I am uncrossing my legs." Future thoughts tend to be fear-based and problem-based. Present moment thoughts help the brain see that there is no reason to go into fight/flight. This cuts the negative mind-brain feedback loop. During the intake process at our neurofeedback center, I ask clients what they are doing to change their habits. If they say, "I want neurofeedback to fix me," a red flag goes up in my mind. People fall prey to the old Western medical logic that there is a "pill" that will fix the problem and that our day-to-day behavior doesn't make a difference. This model is changing and the Western world is starting to see that a single intervention that will not improve our lives. Brain health, much like bodily health, depends on repeated exercise. The reality is that there is much in our control that is helpful (or harmful). For example, research has definitively concluded that lifestyle, specifically how much stress you have in your life, significantly impacts the body's functioning. As does sleep. If you habitually sleep less than seven hours a night you are increasing your likelihood of being ill more frequently in your later decades. What helps us get the best health results is a whole-lifestyle approach and includes diet, sleep, exercise and lower exposure to stress. Neurofeedback is an essential and effective training for overall wellbeing. It works best when the brain and mind are given the other supports in conjunction: a healthy diet, regular exercise, and good sleep hygiene. To take optimizing your wellbeing to another level, have an annual check-up with an integrative or functional medicine doctor with blood work that looks at the building blocks for good brain health such as amino acids, vitamins, and neurotransmitter levels. Most clients who start brain training with neurofeedback want to be healthy, and mentally and emotionally fit. The greatest advise for reaching the best results is to add healthy habits that will enhance success: working with your thoughts and creating positive self-talk, building a mindful breathing practice, and approaching health with a holistic mindset. Have additional questions or ready to start your neurofeedback program? Talk to an Expert Neurofeedback Trainer!